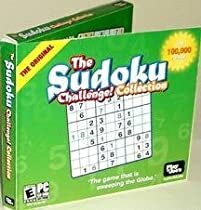 The Sudoku Challenge brings you the Japanese numbers game that’s driving everyone mad. We guarantee that once you’ve tried one Sudoku puzzle, you’ll be hooked! It’s deceptively simple: The goal of Sudoku is to fill in the missing numbers in a 9×9 grid. It is a puzzle game of logic and reasoning, and doesn’t require any calculating or special math skills; all that is required is brains and concentration.Keep track of your best times — and create individual profiles so the whole family can play!